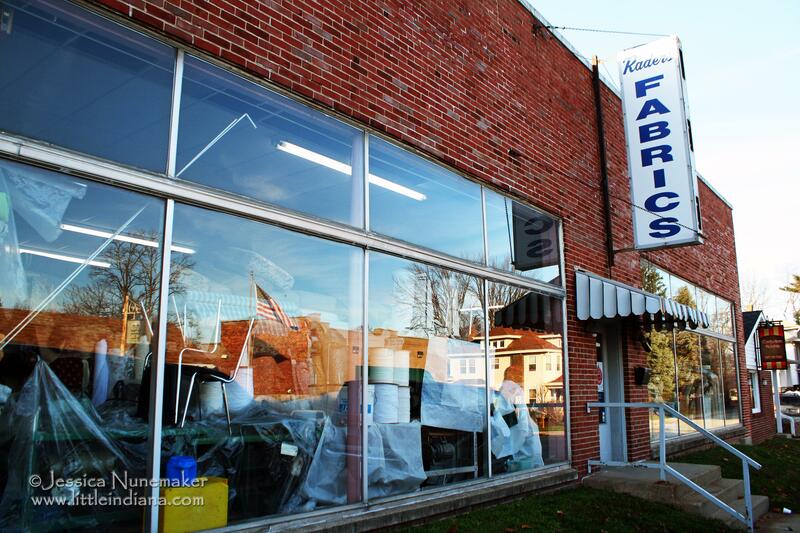 Raders Fabrics in Danville, Indiana is a sewing paradise: fabrics, ribbons, laces, and so much more fill every nook and cranny. My mother used to tell me she would make my Prom dress for me–as a joke. In fourth grade I took sewing lessons in our Indiana town. I made a shirt that I couldn’t get over my head. Oops. In middle school I got in trouble in sewing class for talking too much. What? Me? So, I am obviously not handy with a sewing machine. And yet–there’s just something about a store full of fabric and buttons and fringe that just makes me feel like I could sit down and sew something. Ya know what I mean? Rader’s Fabrics is just such an incredible store. It is so big that the towering bolts make you want to run through the aisles of fabric playing tag. Our boys could barely contain themselves! 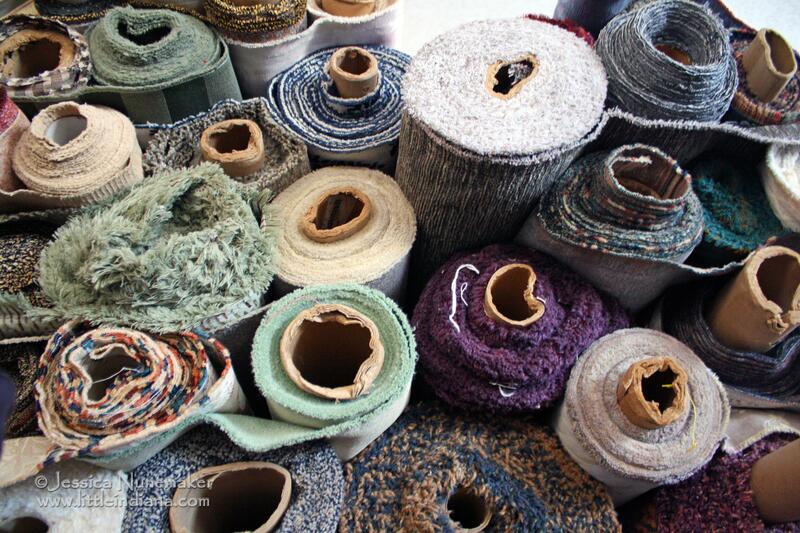 Fabric is everywhere and in all shades, patterns, and textures piled to the ceiling. A door near the back takes you to even more of the good stuff! Brightly colored ribbons and lace caught my eye. But how could it not? There’s a whole wall there! It’s like Summer in fabric form. This stuff is cute! Right near to the wall of ribbons dangle a bunch of curtain tiebacks in all sizes and colors. It is just amazing how much is in this Hendricks County shop. Really, if you are a fabric lover–this is your dream come true! 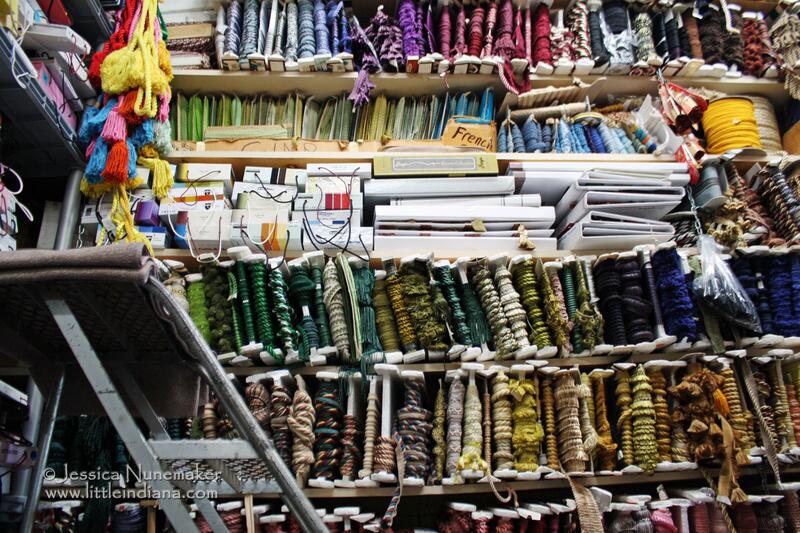 Big box stores have nothing on this spacious and family-owned fabric shop. Is this fun or what? Located just off the main street right downtown, it’s easy to find, too. If you have a knack for creating outfits or draperies and what have you, you will not want to miss this incredible Indiana fabric store! Only in little Indiana! Find Raders Fabric images and other pictures in Indiana on my Flickr photostream or on the new little Indiana Tumblr blog.